If you’re thinking about a new career, it's a good idea to arrange a meeting with someone who already works in that profession (what's known as an 'informational interview'). Informational interviews are an essential way to gain first-hand knowledge about what it's like to work in your chosen field, how to maximize your skills and tailor your job applications, and how to start building vital industry connections. 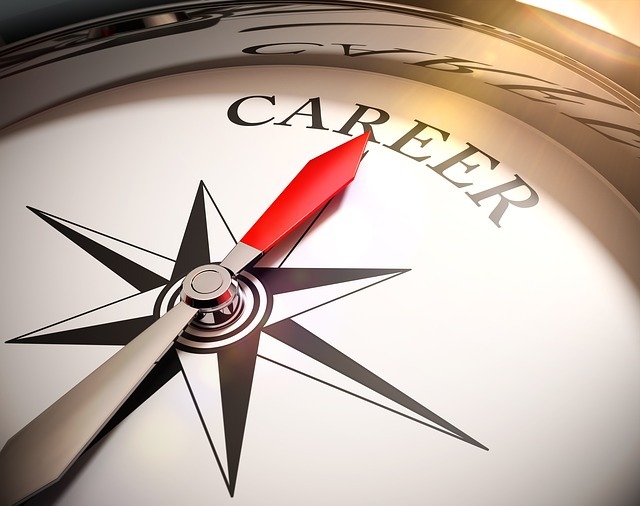 Assess whether your chosen career path is right for you. Gain insider knowledge other job applicants won’t have. Get tips for crafting your applications for specific jobs. Discover what skills and qualities potential employers are looking for. When Might You Want to Have an Informational Interview? You are a college student or recent graduate thinking about potential career paths. You are switching careers and you want to find out whether your new career path is right for you. You are returning to full-time work after being self-employed or a stay-at-home parent. Daunting as it may be, unless you know the person you want to speak with, you are going to have to ‘cold call’ a stranger to request an informational interview. The best person to speak to is somebody who already works in a position related to the one you are looking for. For example, if you want to be a software developer, aim to speak to someone who is a software developer themselves. Check relevant companies’ websites and go to the ‘About Us’ or ‘Contact’ pages. There will sometimes be a list of employees and their contact details. Choose the employee with the most relevant job title. Check companies’ LinkedIn profiles for connected employees. Contact a company’s HR department and ask to be referred to someone in a relevant position. Once you have identified your interviewee, you need to make contact. You could pick up the phone and speak to them directly, but you are more likely to be rejected if you put them on the spot. Give some basic information about yourself and your current position or job title. Ensure you emphasize to your recipient that you are doing career research and that you are not a recruiter. Briefly explain that you are considering a career change and would like to find out more about your recipient’s work. Indicate that you would love to set up a short meeting, over the phone or in person, to discuss what they do. Request that your recipient contacts you at their convenience to arrange a meeting, and provide your contact details. Research your interviewee for topics to discuss during the interview. Read their employee page on the company’s website or check their LinkedIn profile. Take a note of their past work experience and check whether they post or share any interesting articles. Research the company and ensure you understand its mission, goals and culture. The company’s website and blog are the best places to start. You could also check its LinkedIn profile and any online employee reviews. Prepare questions to ask. The best questions to ask in an informational interview are targeted to extract precise and useful information. See the sample informational interview questions and answers below for guidance. Be professional – If you are attending the interview in person, dress formally and arrive punctually. Listen to your interviewee – You are here to learn from them, so they should be doing most of the talking. Take notes – Your interest will impress your interviewee. Remember to thank your interviewee for their time. Continue to maintain your new business connection – If you get a job off the back of your informational interview, email your interviewee to thank them. This is a good icebreaker to start with because it's personal to your interviewee (people love nothing more than to talk about themselves), and it will help you gain a valuable perspective on the job and the wider industry. Learning about your interviewee’s educational background and work history can help you understand the experience you should also be seeking to obtain. Your interviewee’s history will demonstrate the kinds of experience you need to reference in your job applications. Compare your own experience with your interviewee's and identify the key skills you have in common. For example, attention to detail, organization or problem-solving skills. Building on the previous question, ask your interviewee directly what skills a person in their position should have. This could include technical skills such as programming, data analysis or languages; or soft skills such as communication, teamwork and presentation skills. Learning what qualities are necessary to succeed at the job will help you assess whether this career is right for you and also how to tailor your job applications to show off your best skills. This is particularly useful if you are eyeing up a job at the same company as the interviewee. Try to gauge what the company values in its employees and use this to tailor your job application. This question will also demonstrate your interest in the company, which will be helpful when you come to apply (your interviewee may even decide to refer you). This question targets the core of the job and what your essential, everyday responsibilities would be. For example, is the work collaborative and team-focused? Does it require a lot of customer interaction? Or maybe the work consists mostly of data input and administrative tasks. Discover what your interviewee loves about their job, such as the work/life balance, the opportunities for progression or the supportive environment. Then ask what parts of the job may be less enjoyable, such as the tight deadlines, industry regulations or required office hours when they’d rather be in the field. Consider whether these are also things that would fulfill or challenge you. Learning about the interviewee’s long-term career aspirations and the steps they're planning can tell you a lot about the opportunities for progression within your chosen field. In a job interview, you are likely to be asked about your long-term goals. It is, therefore, useful to gain a realistic perspective on where you could take your career to help develop your own aspirations. It is common to be asked to demonstrate your commercial awareness in interviews, so consider using some of these resources to keep yourself informed. This question will help you uncover details about the job that won’t be advertised in the job description. You can use this information to more accurately gauge whether you would enjoy the role. For example, perhaps your interviewee was surprised by the amount of paperwork required, or by how closely senior management works with the regular employees. Why end your networking with your interviewee? Forging connections is vital in any industry, so make sure to ask whether there is anyone else you can contact to discuss your career. The more perspectives you gain on your chosen career path, the better prepared you will be. Think about why you need an informational interview and what you want to get out of it (for example, you looking to make connections in an industry). Choose your interviewee wisely: they should already be working in a position or industry you want to enter. Request your informational interview by using a formal email sent directly to your interviewee. Prepare thoroughly for the interview: research your interviewee and the company, and list questions using tthis article for guidance. After the interview, remember to thank your interviewee and keep them updated on your career progression, to maintain your connection. In conclusion, although it may be daunting, obtaining an informational interview with a professional working in your desired job or career is a simple way to stand out in a market crowded with capable applicants. With just one conversation, you could gain valuable insider information, job application and interview tips, and industry connections – it's worth doing.